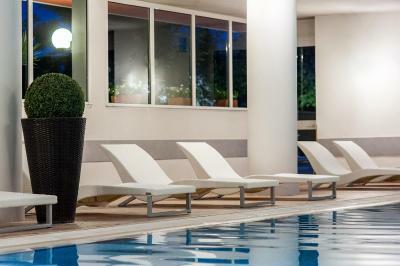 Lock in a great price for Hotel Terme Delle Nazioni – rated 8.8 by recent guests! We loved EVERYTHING!! the staff is so helpful and we saw everyrhing was always being cleaned and the food tasted fresh and nice selection at the salad bar. Our favorite was Marika,at the pool bar, we LOVE her,she has such a lovely personality and she made our stay extra nice!!! The economy room was so cozy,and we were so happy to have a terrace and be able to smoke outside and not have to go all the way downstairs.the bed was so comfy and extra pillows.we found the room nice and clean, smelled clean.turkish bath was heaven and very pretty. Your staff work hard, we were very impressed! Great pools and good and large room. Dinner was very good. Pools are open until 11pm and generally not too crowded, despite the hotel being full due to Easter. Snacks at the pool bar are quite decent and the kitchen is flexible in putting something together for little ones (either variation on an existing dish or just some basic rice/pasta). Mattresses are rather firm, which we like. Excellent facilities, great pools and spa. Staff is amazing. 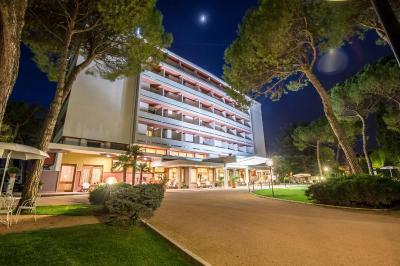 This is one of the best hotels in Montegrotto Terme. Great breakfast. Great room. Beautiful spa area. Very friendly staff. Large parking. The pool and spa are very nice. Even with a full hotel the areas were not crowded, including the sauna and steam room. Dinner was well prepared including appetizer/salad bar and a good value. Lovely breakfast, with plenty of coldcuts, eggs, cheese, fruit. As always, everything is great! We stop here for ten years in a row and as always everything is fine. The staff is ready to help at any moment in any matter. Reasonably varied and rich breakfast. Convenient location. Its large parking. 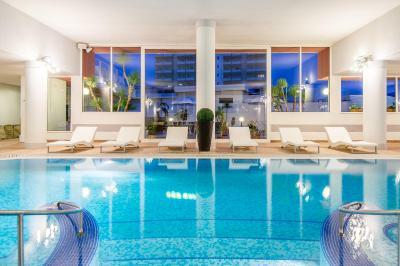 Beautiful thermal pool with long running times and spa. Very clean. 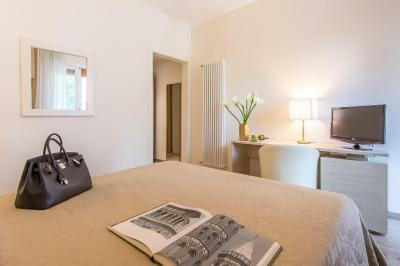 Hotel Terme Delle Nazioni This rating is a reflection of how the property compares to the industry standard when it comes to price, facilities and services available. It's based on a self-evaluation by the property. Use this rating to help choose your stay! One of our top picks in Montegrotto Terme.Hotel Terme Delle Nazioni, set at the foot of the Euganean Hills, is ideal for a relaxing break. Its spa specializes in a range of treatments designed to rejuvenate you and is completely free. 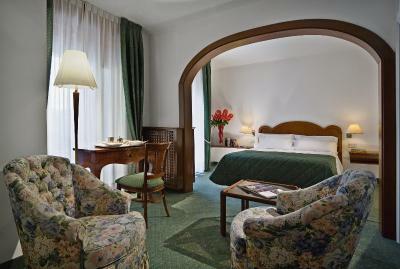 The rooms of Terme Delle Nazioni Hotel are classically decorated, and feature a balcony, free Wi-Fi, and a satellite TV. Some are larger and feature top-quality furniture. 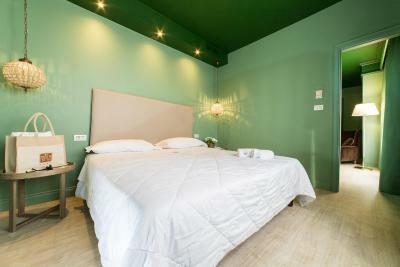 This hotel offers a wide variety of facilities including golf and tennis courts, bike routes and a well-equipped gym. 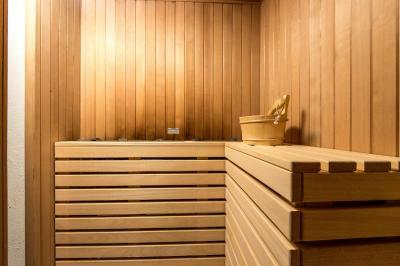 The wellness center features 3 thermal swimming pools, aromatic caves and Turkish bath. Pool towels and bathrobes are provided free of charge. 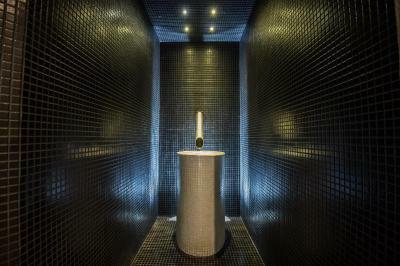 The thermal waters are renowned for their therapeutic qualities and are incorporated into the hotel’s spa. Here you can enjoy aromatherapy, mud treatments, spa baths and massages which help ease rheumatic and neuralgic problems. When evening comes around you can enjoy a meal in the hotel restaurant which combines traditional Venetian dishes with the best of international cuisine. Finish your relaxing day in style by unwinding in the elegant piano bar. 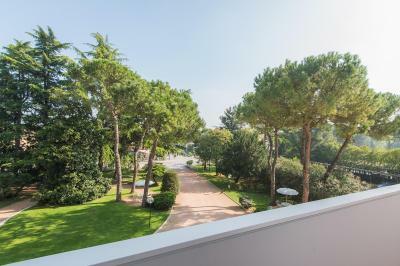 This property is also rated for the best value in Montegrotto Terme! Guests are getting more for their money when compared to other properties in this city. 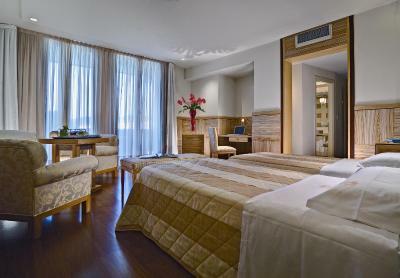 When would you like to stay at Hotel Terme Delle Nazioni? This room offers a balcony, free Wi-Fi and satellite TV. This room has a classic design. It offers a balcony, free Wi-Fi and satellite TV. 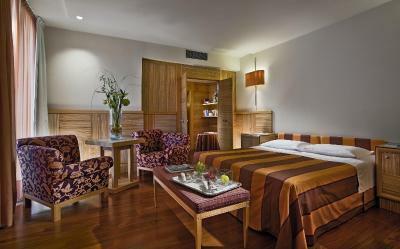 The superior room is more spacious and features top-quality furniture. It offers a balcony, free Wi-Fi and satellite TV. The junior suite is bright and stylish. It offers a balcony, free Wi-Fi and satellite TV. 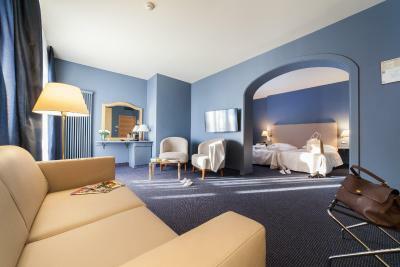 Inviting and elegant, the Hotel Terme delle Nazioni is a 4-star hotel near Abano Terme surrounded by a magnificent park and with indoor and outdoor spa pools: the best place for a relaxing and healthy vacation. 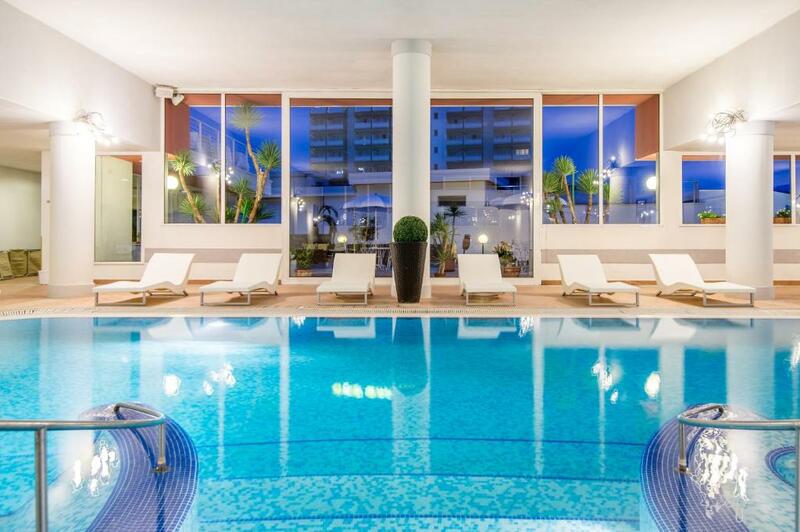 The Hotel Terme delle Nazioni in Montegrotto is known as one of the area's leading spa centers where special health and beauty treatments help guest stay in shape. The spacious common rooms, including the lobby, front desk, restaurant, bar, small meeting room, gym andthermal center are enveloped in a pleasant ambiance. House Rules Hotel Terme Delle Nazioni takes special requests – add in the next step! 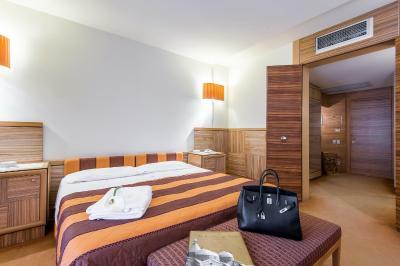 All children from 0 to 3 year are charged EUR 15 per night for extra beds. All children from 3 to 8 year are charged 50 % of the room stay per night per person for extra beds. All children from 9 to 12 year are charged 70 % of the room stay per night per person for extra beds. Hotel Terme Delle Nazioni accepts these cards and reserves the right to temporarily hold an amount prior to arrival. Access to the wellness center and pool is free until check-out. Additional fees are charged after check-out. 1) Food at dinner was rarely good. The waiters regularly mix up orders and basically speak only Italian, and even in Italian I had to explain twice what an espresso doppio is. 2) Sound isolation in the rooms is non-existent, one can clearly hear the neighbors talking to each other, even when they speak quietly. The rooms get way too hot, we only managed to sleep with the balcony door ajar. 3) Half the massage jets in the pool are not functioning, and all of them are positioned in a very strange way. Basically two lower ones are at the calf level and the two upper ones are on the level or your sacrum. 4) The gym is tiny, with a single barbell, a couple of very basic machines and a single mat. Plus three cardio machines. Rooms were a little too hot as central heating was on all the time. Not a big deal though as we just kept doors open for ventilation. Outdated furniture, bed not too comfortable. Room was too warm, had to open the patio door to cool it off. We would have liked a big ,super hot jacuzzi near the pool. 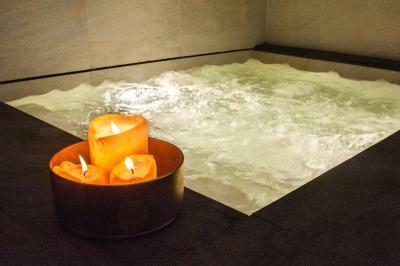 The thermal massage has oils and is just for one person, but we think you should add a normal jacuzzi to really heat up and relax.the pool seats with the jets were nice though. Reception. We requested breakfast at 7.00 am but didn’t receive response. Lovely room, good breakfast, excellent facilities.